Grimes is, on the surface, known as an ‘oddball’ in pop music with her bright hair, Japanese-inspired style and otherworldly aura. However, this more unusual persona influences her music in creative ways. She takes the conventional song structure and mixes it with varieties of genres and lyricism, refusing to fall within the constraints of category or comparison to other women artists. Grimes provides us with a twist on pop by experimenting with full creative control of her work; she is not just the singer, but her own producer, drawer of artwork and video producer. Born in Vancouver, Claire Boucher was raised into a catholic family and spent much of her early years learning ballet. She later attended McGill University where she had begun to go to experimental music gigs and experimented with producing music herself, giving her the foundations to explore music in its full capacity. Having this period of exploration enabled Grimes to teach herself the breadth of skills that she now applies to her music career, proving her multi-talented nature. With four albums under her belt, Grimes found a breakthrough both critically and commercially with her 2012 album Visions, one which further led to being signed to Jay Z’s RocNation and inducted into the glitz of fashion industry balls. This album, however, was far from glamour and riches. Grimes had spent a month making the album on her own, sacrificing no creative control or influence from outside opinion to acceptance and success. The lead single ‘Genesis’ is a dreamy electronic track that is accompanied by a music video inspired by Grimes’ Catholic upbringing and her association of it to action films. The result is an induction into the world of fiction, reality and somewhere in between, where the lyrics of “My heart, I never feel, I never see, I never know. Oh, heart and then it falls and then I fall and then I know” are repeated six times, entranced in the hypnotic voice of Grimes. In late 2015, Grimes took her ethereal work of the past and began to incorporate it into some of her most poppy hooks with Art Angels, without compromising her unique spirit. The background behind this album came from the frustration of Visions and her experience with sexism in the music industry. She felt undermined by the lack of trust in her production and the media’s hyper-focus on her appearance, causing her to nearly give up her musical project. Instead, Art Angels was made – a combination of her past electronic approach with guitar-driven passion and confident lyrics. On ‘World Princess Part II’, Grimes proclaims “Don’t be unkind. You’re so far behind me”. We are convinced that Grimes is on top of the world, aware of all the bad trying to destroy her and surviving each hit of the industry. Similarly, Grimes invites Janelle Monae for track Venus Fly, which questions those who objectify them. In response, both imagine a scenario where they change their appearance to look ‘scary’. Monae sings “Why you looking at me again? What if I pulled my teeth? Cut my hair underneath my chin”, regaining power over their personas whilst simultaneously alienating those who obsessed over their beauty rather than their music. The journey from humble experimentation to powerful pop influencer has given Grimes the tools to take responsibility for her own music in an industry that often rejects women’s power in production of their own art. 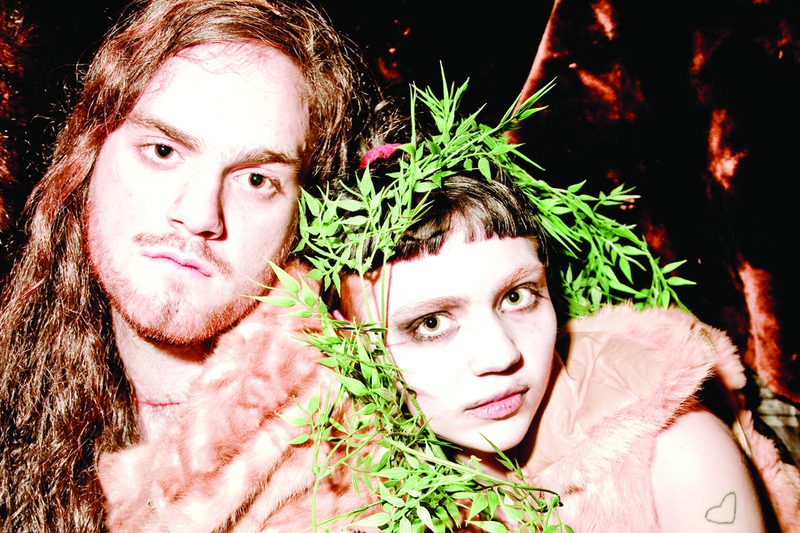 Grimes allows no compromise, finding success in her own path.